We are AJ Plumbing Supplies Ltd, a local company that has been in business for since 1979 and one of Northern Ireland's largest plumbing and bathroom supplies. Based in Newry, Co. Down, we have 3 other showrooms in Northern Ireland, namely Banbridge, Ballynahinch and our latest addition, AJ,s Elite Bathrooms. Elite Bathrooms, which is situated on the outskirts of Newry City,is a modern showroom focusing on the middle to upper market range and specialising in the main leading brands, e.g. Villeroy, Boch and Teuco to name a few. At our stores in Ballynahinch, Banbridge and Greenbank Newry, we carry an extensive stock of all materials required by the plumbing and heating installer. Supplies ranging from under floor heating, (where we offer a complete design service), to steel panel and designer radiator systems. We have a wide range of multi-fuel stoves and range heating cookers on display in our Heating Showroom and our staff will be happy to discuss and advice you of new products and technologies which are constantly being introduced. As a Company we pride ourselves on our high level of customer service, advice and reliability. Based on these attributes our Company has steadily expanded. Arthur A Prentice - a plumbing and heating contractor who established his business in September 1977 - having served an apprenticeship commencing in April 1969 with a well established plumbing firm in Lisburn. Over the past 25+ years he has gained a wide knowledge and experience of many differing types of heating installation - solid fuel and oil - general plumbing and associated building works. He has worked for a number of public and private housing developers and many commercial businesses within the greater Lisburn area. A reputation for quality of workmanship and reliability has been built over the years, offering a prompt and professional service at all times. 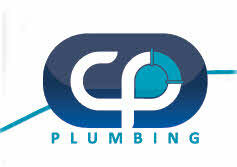 Need a Plumber or Heating Engineer in Lisburn, Banbridge, Saintfield or Ballynahinch? --- CJM Plumbing & Heating is a well-established business, which provides a full range of residential services: Oil Boiler Services --- Boiler servicing - routine maintenance and breakdown repairs Installation of new boilers --- Central Heating Systems --- General Plumbing *** Where we work --- Lisburn, Hillsborough, Saintfield, Ballynahinch, Dromara, Dromore, Banbridge. If your property is within these areas, we are your local plumber and heating engineer. Complete Bathroom Makeovers is the only site you will need as you consider replacing your existing bathroom. Set up in the early 1980’s, our family run firm has grown to become a leading company in designing and delivering quality bathroom solutions. In the early days, Complete Bathroom Makeovers worked within the Lisburn area but, relying on word of mouth, our growing reputation has lead us to extend our area of operation and we can now deliver your complete bathroom makeover throughout Northern Ireland and further afield. At Complete Bathroom Makeovers we have seen many changes in styles of bathrooms from when we completed our first job in 1980. Whatever the style or design you choose we will ensure you get a professional & courteous service, when you choose complete bathroom makeovers you will not have to try to co-ordinate different tradesmen as we look after all work from stripping out old room to installing your new bathroom. My name is Christopher Patton, I have been a plumber for seven years and have worked for an engineering firm for most of that time. I have always believed that neatness and tidiness have a fundamental part to play in offering a quality service as a plumber. My experience encompasses all aspects of the plumbing spectrum: domestic, commercial, industrial and building sites. I have also installed bathroom and toilet facilities for persons with disabilities. My speciality is in the domestic field where I have worked on fitting and replacing bathroom suites, toilets, kitchens, water tanks, radiators, utility rooms and all aspects of general plumbing. It is true to say that for me, no job is too small.